[PDF] Cardiovascular Toxicology, Third Edition (Target Organ Toxicology Series) | Free eBooks Download - EBOOKEE! Description: Acosta's popular volume provides information on cardiovascular toxicology for clinicians, public health officials, industrial and experimental toxicologists, as well other interested professionals. This new edition highlights major advancements on the molecular aspects of toxicity to the cardiovascular system, including genomics information where appropriate. 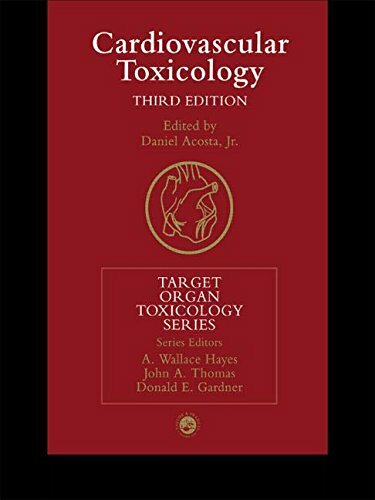 The book is divided into five sections: an introduction that emphasizes the need to explore biological mechanisms as factors in the toxicity of chemicals and drugs to the cardiovascular system, followed by sections addressing methods, principles of cell injury, cardiotoxicity of chemical agents, and vascular toxicity. The editor and all contributing authors are well established experts in their respective fields thus ensuring Cardiovascular Toxicology as the most authoritative and up-to-date review of this area of systematic toxicology. No comments for "[PDF] Cardiovascular Toxicology, Third Edition (Target Organ Toxicology Series)".